CraftBeer&Wine U-! is a friendly pub in Tachikawa that has 10 taps of craft beer. 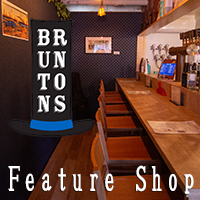 They aim to have both Japanese craft beers as well as international craft beers. Their number one dish is their house sausage that is entirely made within their shop. They serve everything from light snacks to 6 cm Chicago style pizzas to keep your stomach happy.